Feel of Adventure in El Nido, Palawan, Philippines. Have you read The Beach written by Alex Garland? It’s a great story of a secret paradise island that is located somewhere in southern Thailand. Wrong. The writer actually used to live in Philippines and admitted that the Beach was inspired by an unknown perfect beach somewhere in Calamian Islands. The bad news is that most of the perfect beaches and picturesque islands are nowadays ruined by hordes of people. Honestly it’s almost ridiculous how many boats and people are packed on the same beaches during high season. 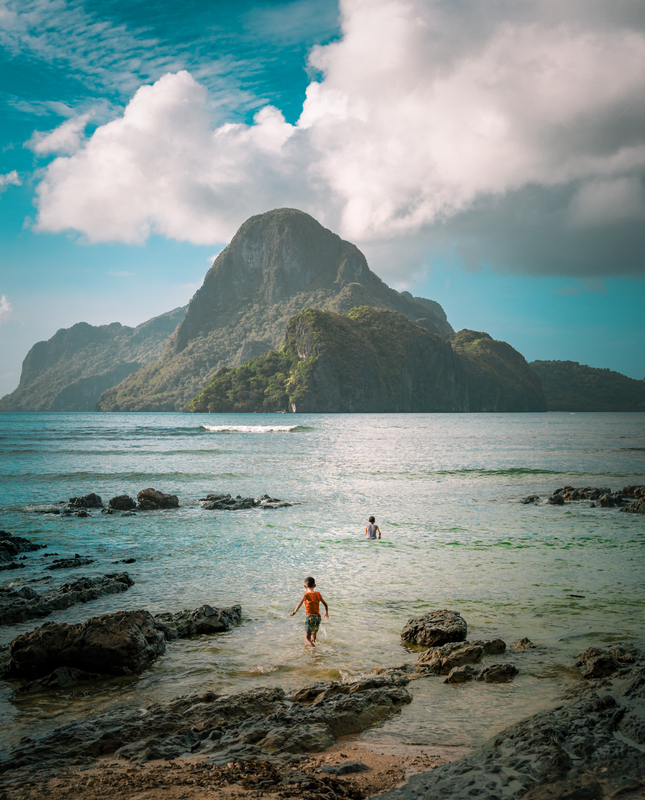 It’s a beautiful area but I really can’t recommend island hopping in El Nido. Tip: The only way to see the islands and perfect beaches without hustle is to rent a private boat and leave right after the sunrise to get away from the maddening crowds.